EMILY AWARDS 2014: Best Face Makeup! Thanks for tuning in for the 7th annual Emily Awards! 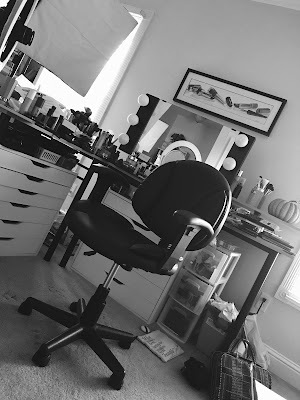 I remember when I first did these awards for the best products of 2008... back then, I knew I wanted to do a roundup of my favorite makeup products, but didn't really know what to call it. So without a whole lot of thought, I slapped on the title of "Emily Awards". Who knew I'd still be doing them this many years later? At first, I just did one video sharing my favorites... now it's grown to a four part series where the "theme" requires almost as much thought and planning as the favorite product selections themselves! In 2014, our little family went through some significant changes! A new home... and a new baby! So that definitely plays into this year's theme, where Cupcake and Belle join forces to turn "Beauty Broadcast" into "Cuteness Broadcast". You'll have to check out each video in the Emily Awards series to see how their plan unfolds! While my video shares the "why" behind all of my Emily Award winning products, I like to compile all the favorites here on my blog so you can more easily refer to the winners. The "buy" links following each product will direct you to an online retailer that sells the product. On some products, the "more info" links will take you to other videos I've done in the past sharing more details. Don't miss a video! Stay updated on the Emily Awards on social media! * denotes the number of years a product has won. Products without and asterisk are first-time winners. Not every type of product has winners in both high end and drugstore categories. You have no idea how excited I got when I saw this post. Thank you! HI Emily. I commend you for being committed to make videos, review and tutorials despite your busy schedule as a first time mom. 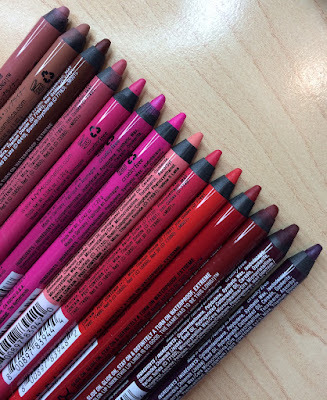 Having the Emily Awards List is like having a friend or sister help me out pick the correct makeup for me as I navigate the vast products there are in a store. It can be very overwhelming at times. Hi Emily! It Cosmetics CC Cream is truly amazing 110%! My favorite concealer is their Bye Bye Under Eye... just started dappling into IT Cosmetics and I'm very impressed so far. Happy Sunday! Thank you so much for this post! Definitely gotta try some of these products out! I absolutely love the NYX Matte Finishing Spray, especially because it is summer in Australia right now, it gives me a nice cooling down and keeps my make up looking great ! I love that you did this! I am going to have to try that Rimmel foundation! I haven't really found one I've loved before. I just started a new public blog this year! I am so excited to get back into the PUBLIC blogging game. Thanks for the awesome read. The Rimmel Lasting Finish foundation was changed to include SPF 20 but I wish they kept it in the tube as well. I've needed a pressed powder but I waited to see the Emily Awards before picking one up! Thank you for all the work you do! The Cute intro is so.. cute! 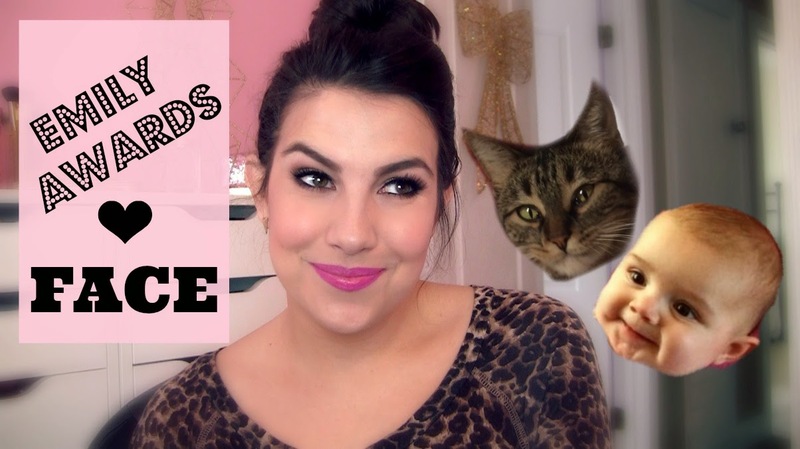 Kitties and babies and makeup! All my favorite things! I have enjoyed your youtube channels for a few years now. I'm a midwest girl too living in Missouri and am currently 16 weeks pregnant! Your vlogs about pregnancy and Belle have been sooo informative and give me something to look forward to, meeting my sweet baby! Thank you for taking the time to do the Emily Awards even with a baby :) i have to say it is something i look forward to every January. I love love LOVE! The Emily awards! I also love how you do a high end and drugstore product from each category, no one feels left out! I love your videos and your little darling Belle! Hoping all is well! Love you, love all that you do for us, it has always shown how much you love playing, trying, creating new looks with new (and old) products. We all benefit in such great ways. Thank you, for encouraging us, instructing us, giving us tell truly honest opinions on it all! :you Rock Mama! Euro Cup is just round the corner. Do you know which teams will take on each other in the first game? Check it out France vs Romania Live Streaming and stay updated with all the latest news. Have a look at Cat Day 2016 to learn everything you want to know about Cat Day, an exclusive day for cats and stay updated. Enjoy this special day with your pets. Are you waiting for one of the best action-adventure game gta 6 release date? We have collected some of the most beautiful and awesome Happy New Year 2017 messages that you can easily share or send to your friends, boyfriend/girlfriend, family, and others. Sure, it’s a good thing to enjoy your work, but there is such a thing as enjoying it too much. Buy anavar from the best online seller. UK & Worldwide Delivery. Anavar at the cheapest prices. Real anavar for Sale! Can't wait until November 29? Set up an alert for Black Friday Deals and we'll let you know whenever we find a deal that meets or beats Black Friday prices. Don't forget to also keep your eye on our Cyber Monday deals while you're browsing. Thank you So much for sharing this useful information, I was searching this from last one month I found this article really helpful. Definitely going to check out the info you shared. This great article and am highly impressed on it keep up your good work. Lifestyle2000ch, Lifestyle2000, Lifestyle 2000, Lifestyle2000ch. Lifestyle2000ch Shopping around the clock! EMILY AWARDS 2014: Best Eye Makeup! 1,000 Videos - Charity Giveaway Winner!